Known as ‘K9’ of the Grammy-nominated songwriting and production duo ‘The Arcade.’ Kurtis is the man behind the glass for major hits Iggy Azalea “Fancy”, Maroon 5 “Don’t Wanna Know”, G-Eazy, and MØ. Depends on my mood and the vibe when I’m in the studio. Right now I’m in the 80 – 100 bpm mood, but it really does just depend on what kind of vibe I’m feeling that day. What instrument is usually your starting point? I’m not the greatest musician on the planet, but most of the time I’ll start on the keyboard and build from there. Sometimes it’s a vocal sample or anything that catches my ear and sounds interesting and I’ll build around that. Your favorite album of all time? I don’t have a favorite of all time (sorry). Though I have quite a few that inspired me over the years. N.E.R.D. ‘In search of’, Kanye West ‘Late Registration’, and Outkast ‘Stankonia’. Your go-to source of inspiration? I spend a lot of time traveling and that’s always a great source of inspiration for me. I always feel inspired to create when I’m in a new environment or I’ve just come back from visiting somewhere new. What is your favorite Output product? Exhale! I use it all the time and still not tired of it. If you listen to the intro on Maroon 5’s ‘Don’t Wanna Know’ you can hear it. Definitely my favorite Output product so far. I use Ableton and Fruityloops. I’ve been using both for a while now and it just depends on my mood which one I want to use as I’ll end up making very different tracks in both. My nickname is K9 so it’s only right my spirit animal is a dog. 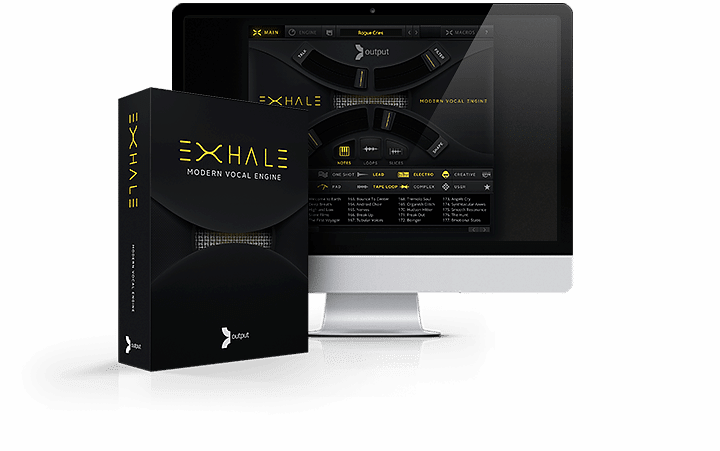 EXHALE is a groundbreaking vocal engine built for the modern musician, producer, composer, artist, and sound designer.